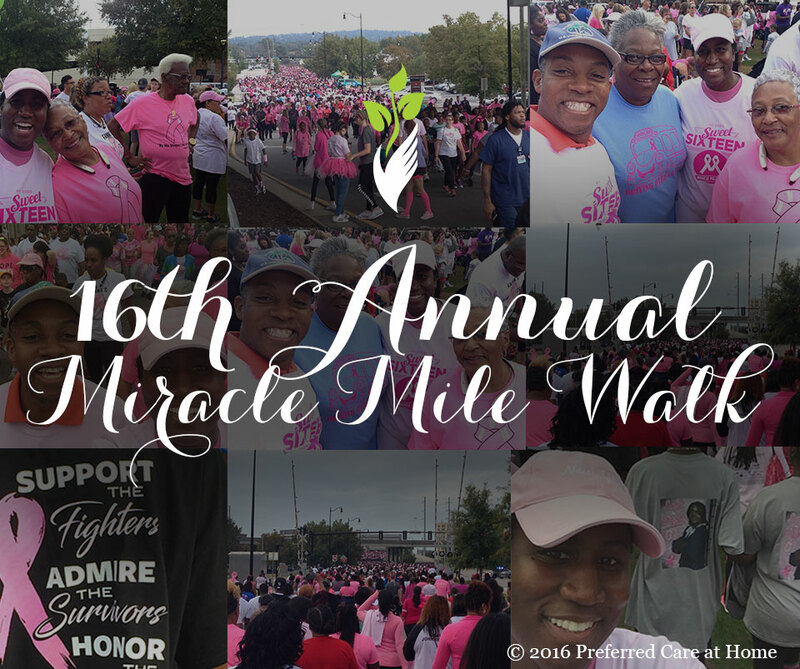 Tony and Veronica Singfield, owner of Preferred Care at Home of North Atlanta participated in the 16th Annual Miracle Mile Walk for breast cancer in Augusta, Georgia on October 15th. This was a 3-mile walk in support of survivors of breast cancer and those who have been diagnosed or have family members, friends, or loved ones battling the disease. 100% of the proceeds were donated to pay for mammograms to women in need of them and to benefit University Health Care System’s Breast Health Center. $3,000 was raised in the 1st year, over $300,000 was raised last year and over 2.7 million dollars overall.